The Diplomats were back and at it again! Loving the end of February, the turmoil and the continuous short-term declines in the market that unlocks opportunity in just a blink of an eye. We were on the hot seat this week, and boy did we take some advantage of market fluctuations. Wednesday was a well placed trade on a wonderful asset management company – T. Rowe Price (TROW). Let’s see how, when and what led the purchase by both of us! I’m getting an itch to invest. 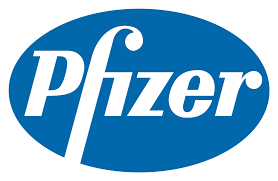 Even after purchasing Pfizer a few weeks ago I still have some capital that I am trying to deploy. This is eerily starting to remind me of when Lanny ran into the same problem (at the same time as a matter of fact!) of having capital to deploy but no where to put it. Despite the fact that the market wasn’t cooperating this week, I have my eyes on a few stocks that are getting very close to my “buy” zone. If the prices fall next week, I may not be able to resist buying. Time to check out my February Watch List! Ah.. Mid-February. The markets have been on another Cedar fair’s rollercoaster ride and we’ve been buckled in feeling the stomach drop… while going through winters that are warm with no a sign of snow to the normal brutal Cleveland winter of a “snowmagheddon” for a great way to put it. With the market “swoons” we all sign into our brokerage accounts to see what our balance is, what dividends have been received and what new stocks have popped on our watch list. Then it hit me – what about doing a brokerage service stock analysis? We are due to write one and this one felt… right. To the analysis my friends.